Often people don’t think about their “online presence” or the documents saved on their computer when they think of Estate Planning. Regardless of what many people think, people of all ages have digital assets. A study done in 2017 by the Pew Research Center’s Internet and American Life Project found that cell phone ownership among adults is 95% and 77% of adults have smartphones. In fact, 80% of Americans over the age of 65 have cell phones. The things you do on your smart phone or laptop may have sentimental or monetary value, or both. 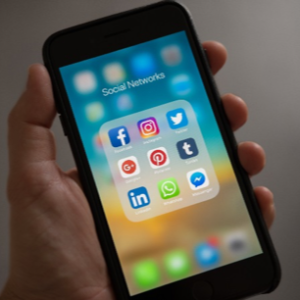 At a time when some people spend more of their lifetime on social media than they do eating and sleeping, it is important to think about our online presence when we plan for our death or incapacity. A digital asset is data stored on digital devices including computers, laptops, tablets, flash drives and cellular phones. For example, photography, presentations, spreadsheets, word documents, emails, conversations, friendships, bitcoin, social media pages, music, books, apps, and videos are all digital assets. Estate planning is not just about money, it is about ensuring that the things that matter to you get to the people you love in the way you want. Digital assets can have monetary value, sentimental value or both. For example, people no longer print photos. Rather, many store photos on their computer, phones, in the cloud, tablets, on websites such as Shutterfly, or on social media pages such as Instagram or Facebook. While in some cases photos do have monetary value, in most cases photos are of high sentimental value. Without any plan for these digital assets, how will loved ones access these photos? Who would you like to have access to the contents of that phone or online account where you store the photos? What kind of access do you want them to have? These are all questions that may be important for you to think about when creating your estate plan. Some digital assets have a monetary value that if not handled properly on your death, can be lost. Some valuable accounts include paypal, loyalty rewards (which may include credit card points or rewards, airline points or miles and hotel rewards), ebay accounts, and digital currency such as bitcoin. For business owners, some digital assets with monetary value include Etsy pages, contacts, client information, domain names, and intellectual property. In addition to the sentimental or monetary value of a digital asset, failure to close down online accounts creates a high risk of fraud or identity theft after death. It is important for you to think about this when planning your estate to make the process as easy and accessible as possible for your loved ones after death. Technology redefined society in a way that requires us to think about what is on our digital devices when making end of life plans. Whether your goal is to make the probate process as easy as possible for your loved ones or to ensure the things of value get to the people you love, planning for our digital assets fits into both. It is important to plan for the distribution or the continuation of the sentimental or monetary information stored on computers, laptops, tablets, cell phones, and the internet. An Estate Planning attorney who understands digital assets can help you create a solid plan in the digital age.